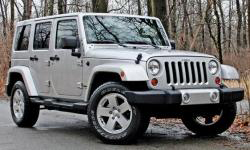 2009 Jeep Wrangler Sahara Trim: Review, History, Pics - Why Buy? The Sahara trim was first introduced with the YJ generation back in the late 1980s and ran through the TJ line all the way until 2004 seeing only a reemergence with the special Sahara Edition Unlimited Rubicon in 2005. 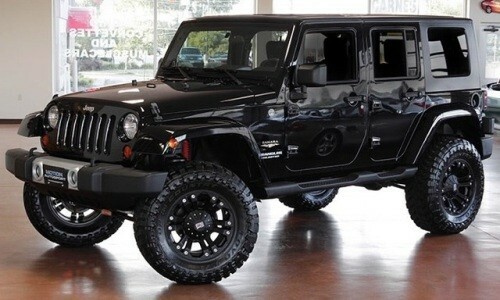 Jeep re-introduced the Sahara trim for the JK generation as the luxury more SUV styled Wrangler. This included body colored fenders a silver front bumper insert, running boards and in many cases a matching body color hardtop among other accessories. Sahara trims also came standard with power windows/lock and 7 speaker infinity sound system including a sub-woofer. The Sahara package is most common in the Unlimited version however is also available in the SWB standard length as well. This middle-of-the-road trim level is still in production for Jeep as their mid-range option today. Why Buy a Sahara Package? The Sahara trim is a good choice for buyers who are looking for something more than the baseline X without spending the extra cash on the high end Rubicon model. A Sahara is also a great option for those who want some of the luxuries of an SUV with the added off-road capability of a Wrangler. In addition a Sahara offers the unique Wrangler style of fender flares that match the color of the body, giving it a more traditional SUV look. Although this look can be achieved by purchasing aftermarket fenders and/or painting the stock black fender flares to match; it is the only stock method of achieving this look and style. Add a matching color hardtop and the Sahara is a unique option for Wrangler buyers who want to stand out from the rest. 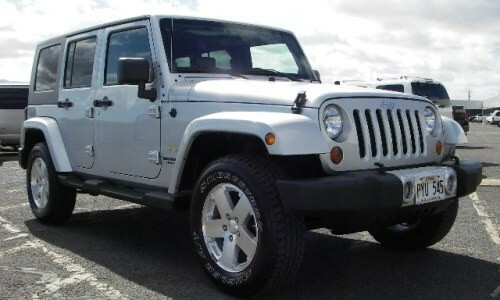 Check out current 2009 Sahara Jeep Wranglers listed For Sale on this site. Displayed below are pictures of both stock and custom versions of a 2009 Jeep Wrangler Sahara trim.